The holiday season is once again upon us as we go about hustling and bustling to get everything done on our endless to do list. But there's one thing that many of us forget to put on that list in the midst of all the chaos and that is... being thankful. It's so easy to get distracted by grocery lists, cleaning, cooking, trips to the mall, standing in long lines, special holiday events, and much more. And if you're anything like me then I'm sure you find yourself a bit annoyed at times with some of this. As you can see it pays to be thankful. All too often in life many of us tend to brush aside the positive encounters we come across and focus on the one or two negative events that occur. I'm just as guilty as the next person in regards to this. We really do tend to make a big deal out of nothing when you think about it. Doesn't it seem to be easier to come home from work and tell your significant other about the one thing that succeeded in dampening your day instead of the ten things that made it easier? Or how about complaining because your least favorite relative will be attending Thanksgiving this year instead of being grateful for the 15 other relatives that you adore? We all can fall into the trap of negativity. But do yourself a favor this holiday season and make an effort to consciously think about one thing that you are thankful for about each person, each event, and each day. And then instead of stopping there verbalize these debts of gratitude with those around you and take notice on how comforting these simple words of appreciation can be not only for you but also for them. You just might add a little bit of bliss to their life and yours. May you all have a blessed and wonderful Thanksgiving! And don't forget to love, laugh, live, and cherish the memories of 2010. 1 Brydon L, Walker C, Wawrzyniak AJ, Steptoe A. Dispositional optimism and stress-induced changes in immunity and negative mood. Brain Behav Immun.2009;23(6):810–816. 2 Emmons RA, McCullough ME. Counting blessings versus burdens: an experimental investigation of gratitude and subjective well-being in daily life. J Pers Soc Psychol. 2003;84:377–389. 3 Kurtz JL, Lyubomirsky S. Towards a durable happiness. In: Lopez SJ, Rettew JG, eds. The Positive Psychology Perspective Series. Vol 4. West-port, CT: Greenwood Publishing Group; 2008:21–36. 4 Algoe SB, Haidt J, Gable SL. Beyond reciprocity: gratitude and relationships in everyday life. Emotion. 2008;8(3):425–429. 5 Emmons RA, McCullough ME. 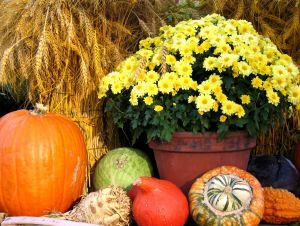 Highlights from the Research Project on Gratitude and Thankfulness, 2009. http://psychology.ucdavis.edu/Labs/emmons/PWT/index.cfm?Section=4. Accessed November 23, 2010. 6 Giltay EJ, Kamphuis MH, Kalmijn S, Zitman FG, Kromhout D. Dispositional optimism and the risk of cardiovascular death: the Zutphen Elderly Study. Arch Intern Med. 2006;166:431–436. 7 Giltay EJ, Zitman FG, Kromhout D. Dispositional optimism and the risk of depressive symptoms during 15 years of follow-up: the Zutphen Elderly Study. J Affect Disord. 2006;91:45–52. I found you through FB-and then stumbled to your blog. I love this site of yours. I can relate to the gratitude attitude-for sure. Sometimes I can let "life" get the best of me. It's a good reminder. And I laughed reading about your soda post or "pop" as well called it growing up. People look at me so weird when I ask/order pop at the restaurants here (AZ). Hard habit to break, I guess. Anyway, keep up the great job here- I'll be checking for sure.